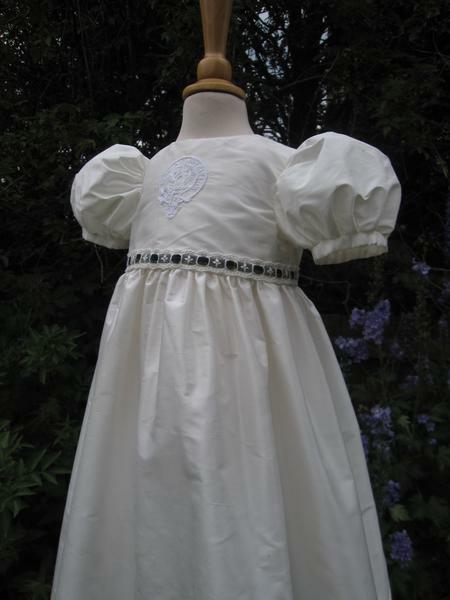 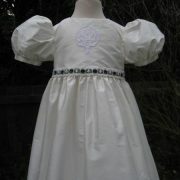 Part of the Scottish Collection, the Savannah Christening Dress is ideal for summer baptisms. 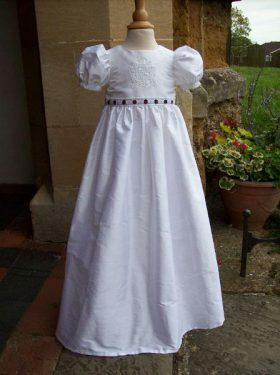 Understated in its simplicity, the whole focus is on the delicately hand embroidered crest centred in the middle of the bodice front. 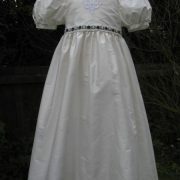 The gown has no collar so that the eye is drawn solely to the embroidery. 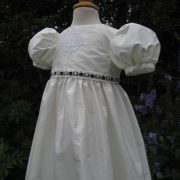 The bodice is finished with tartan trim threaded through some beautiful insert lace. 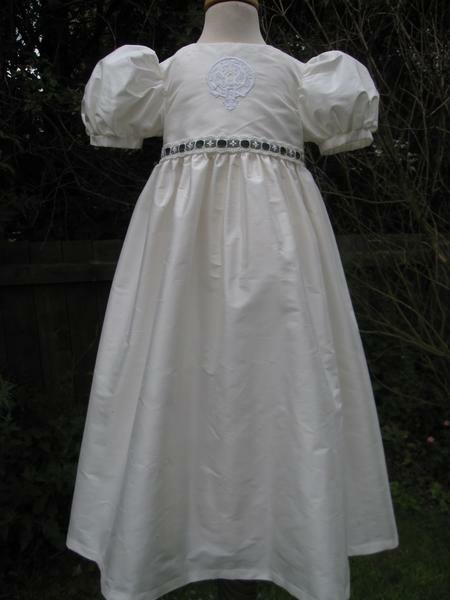 The short puffed sleeves are softly fitted into the bodice and gently gather at the cuff. 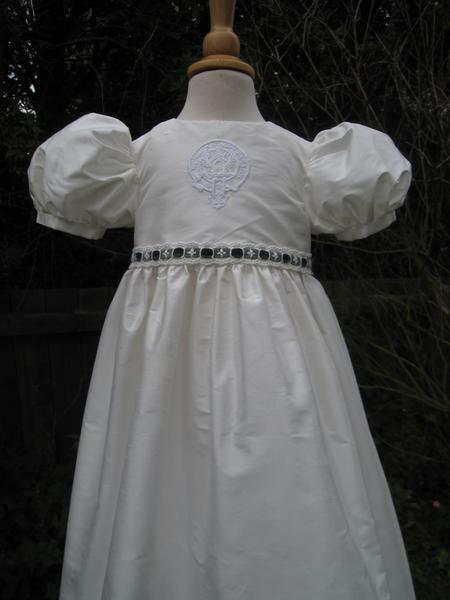 The short skirt is gently gathered into the waistline with the bodice. 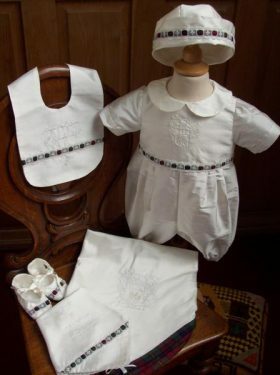 A range of matching gifts and accessories are available for the Savannah Christening Dress. 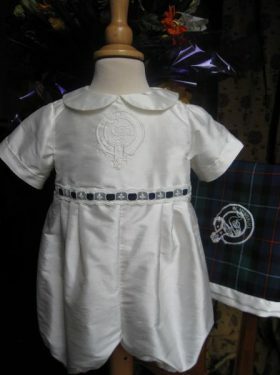 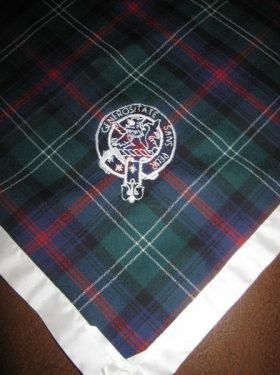 All the Savannah Christening Dress accessories are made to match the dress using the same silk fabric and matching tartan trim.